At a Kentucky Chamber of Commerce event, Senate President Robert Stivers said that the legislature should pass a new measure if the pension bill is struck down. “If it is something we have to revisit and can be based on procedure, I think we can do that and I think we should because it is a problem that has not gone away,” Stivers said, dismissing calls for the state to raise more revenue through legalization of casino gambling. Franklin Circuit Court blocked the pension bill over the summer on procedural grounds, ruling that lawmakers had violated the state Constitution by rushing it to passage and didn’t get enough votes to pass the legislation. The pension bill that passed this spring changes retirement plans for future state workers — teachers would no longer receive defined benefit pensions and instead receive a hybrid 401(k)-type plan, other state workers would have a lower guaranteed rate of return in their 401(k)s.
Under the blocked law, workers hired since 2014 would also have their guaranteed rates of return lowered. It would also change how current workers can use saved-up sick days to qualify for retirement and require employees hired between 2003 and 2008 to pay one percent of their salaries for retiree health insurance. Republican leaders of the legislature and Gov. 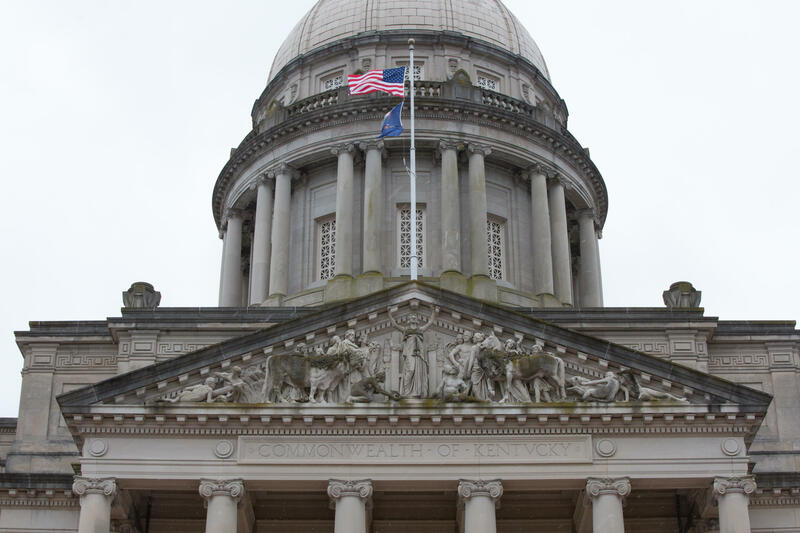 Matt Bevin argue that the pension legislation is necessary to help alleviate the state’s massive pension debt, which is estimated to be greater than $37 billion. Incoming House Speaker David Osborne said he hadn’t polled House Republicans for their willingness to pass another pension bill, but predicted lawmakers would consider it. “I would think so. I’m not sure that we would be passing the exact same piece of legislation this time around. Quite frankly I’m not sure how we’re going to deal with it if it does get overturned,” Osborne said. The Republican-led legislature passed the pension bill in a matter of hours after unveiling it in a surprise hearing late in the legislative session. Thousands of teachers and other state workers protested pension legislation throughout the legislative session, but descended on the State Capitol en masse after the bill passed, shutting down school districts across the state. Osborne said that Republicans’ ongoing supermajorities in the statehouse show that voters approved of how the pension issue was handled. Democrats hoped that anger over the pension bill would lead to a wave of support for legislative candidates during this year’s elections. But Republicans only had a net loss of two races in the House, leaving them with 61 seats for the upcoming session.